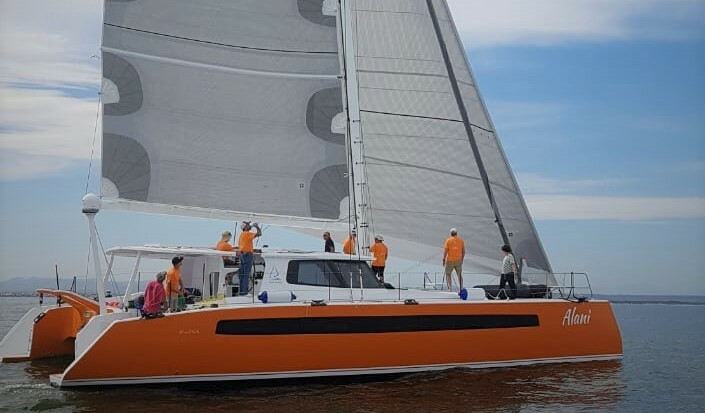 Balance 526 “Alani” Hits the Water! 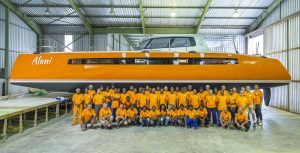 Balance Catamarans is pleased to announce the launch of Balance 526 Hull #6 “Alani” in Cape Town, South Africa. “Alani” is looking truly amazing with her sharp, wave piercing bows, and her eye-catching orange hulls. Following a celebratory launch party, the owners will set sail for Grenada where she will remain for the winter.